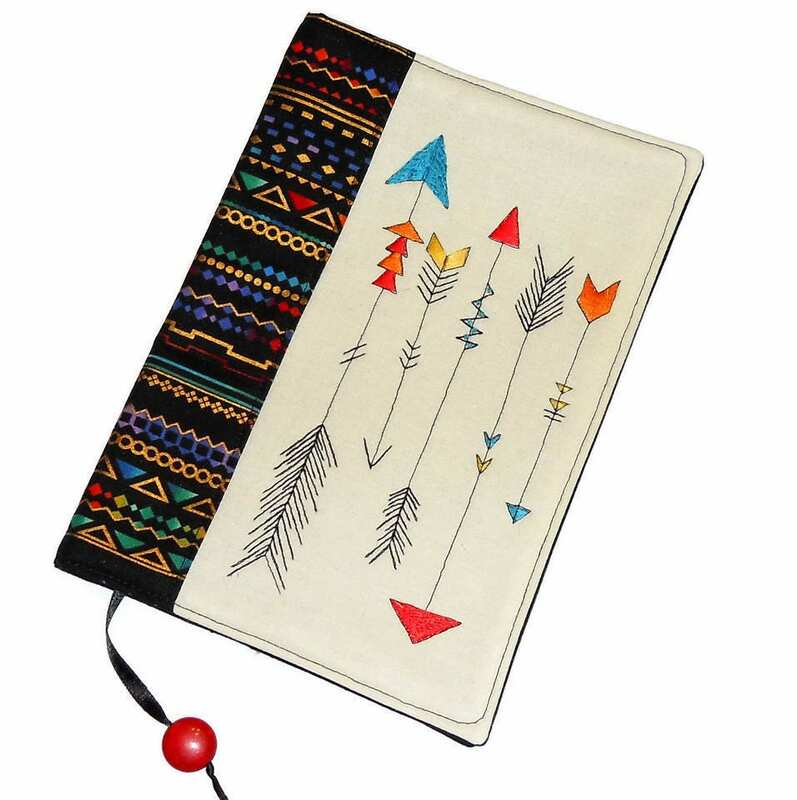 Reusable handmade fabric book cover with embroidered arrows made of high quality cotton fabrics. The cover is machine-sewn and hand stitched. All the different colors on the arrows are hand embroidered. It’s fully lined with a black cotton fabric. wirklich fantastsicher Buchumschlag. Es gab ihn zu Weihnachten für Mutter die sich sehr darüber freute und ihn nun fast täglich verwendet.